Notes: Cross Lane Station was situated on George Stephenson's famous Liverpool and Manchester Railway the world's first railway to cater for passengers as one of its primary functions. It was also arguably the worlds first inter city railway. When the line first opened on the 15th September 1830 no details exist of the initial intermediate stops and Walkers accurate description of the line at the time of opening says that fares for intermediate stops had not been settled implying that initially there might not have been any stops. The station was open by 1831 and at that time probably consisted of very basic facilities. By the end of the 19th century the line had been quadrupled at this point and the station was provided with platforms on all four lines. The station was closed to passengers on the 20.7.1959 but remained open for the delivery of livestock until 1.1.1963. 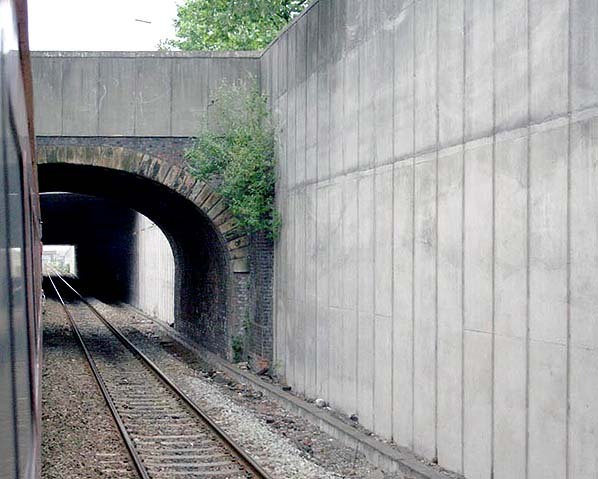 In the 1980's the M602 motorway was constructed and much of the station site is occupied by its infrastructure. The line has once again been reduced to double track with only the two former fast lines surviving. There is no evidence of there ever having been a station here. Looking west in July 2006. 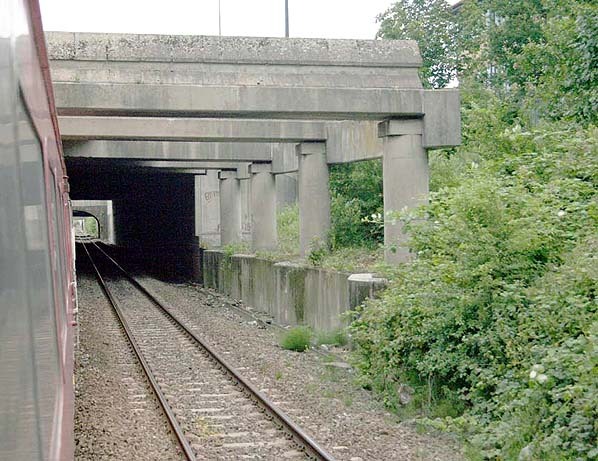 Just beyond the bridge was an island platform serving the eastbound fast line and the westbound slow line.